This Material was created and generously donated by Thomas King. This download contains a single MatCap material (.ZMT). This material has a high specular level with a Grey Metallic Paint feel. 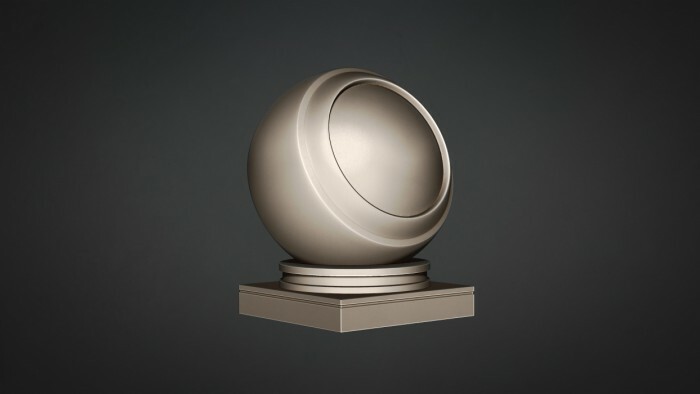 Created in ZBrush, this Material is compatible with ZBrush 4 R5 to the most current version. For more information regarding Thomas King, please visit his Facebook page. For further details regarding ZBrush MatCap Materials Click Here. Copyright © 2019, BadKing.com.au Page generated in 1.30 seconds ( 100.00% PHP, 0.00% MySQL ).